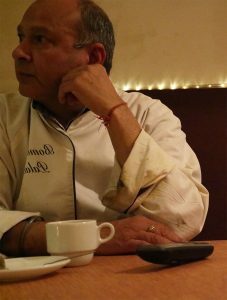 Since 1998, Indian chef Naresh Chaubey has been bringing the authentic flavors from India to local residents, foreigners and expats in The Hague, Scheveningen. At Indian Speciality Restaurant Bombay Palace you can taste a true explosion of taste of herbs and spices from the Far East. We do everything to give you the real Indian feeling. The hospitality and cozy, informal atmosphere ensure that you have a wonderful evening. Our team makes every company happy and you will leave the restaurant with a satisfied feeling, stimulated taste buds and a well-filled stomach. Take your family, loved one, colleagues or acquaintances on a culinary journey to the most beautiful corners of India. And that without traveling further than to our Indian restaurant in Scheveningen.